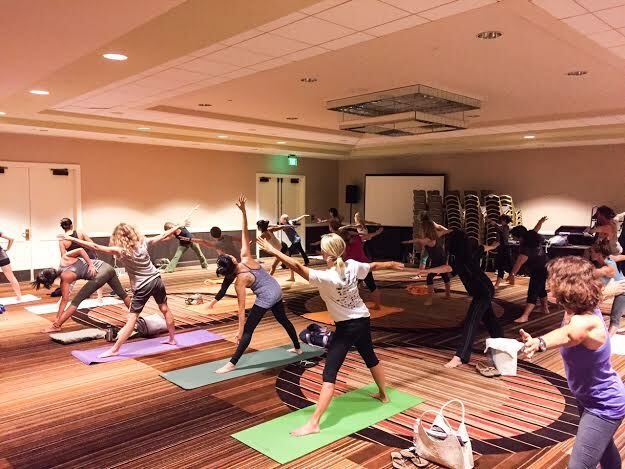 Following a long day of conference keynotes and breakout sessions, there's nothing quite like relaxing with meditation and downward facing dog pose. And that's just what some conference goers did. 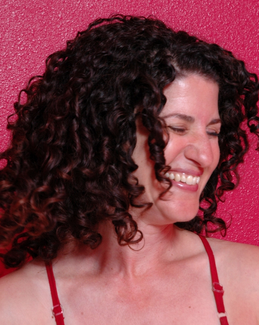 Each year at the summer conference, writer Lori Snyder has offered a daily yoga session. 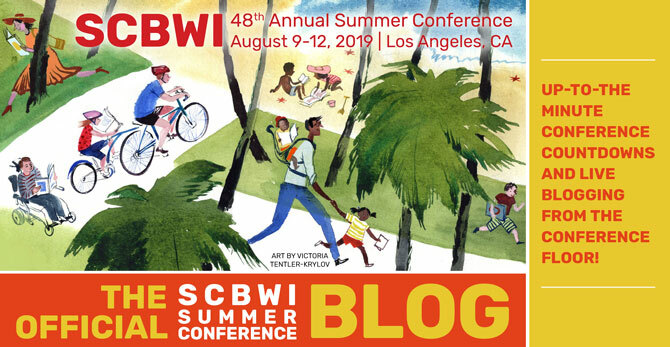 Below she writes about how writers and illustrators can benefit from the practice. One of the extraordinary things a yoga practice can do, and has done for me, is make it easier to show our deepest, truest face to the world. To be unabashedly ourselves. To stand up for what we believe. How that translates to writing or art of any kind is the same way it translates to life—it frees up the courage we need to create writing or art that is meaningful to us, and that only we can create. And it helps us to do it without fear. For all of us, time is an issue. We live in a culture of overwhelm and busy. What’s important to know is that you don’t actually need a 90 minute class, or a 60 minute class…or even 10 minutes. You can take two minutes and practice a single yoga pose or some breathing, and that alone will start to change things. Even two minutes will help free up the psychic space needed to create anything that matters. #LA15SCBWI getting their triangle pose on! Two tips for beginning a yoga practice. 1. If you can be kind to people, breathe deeply, and focus your awareness, you’re already practicing some of the most important aspects of yoga. So don’t be intimidated to start! 2. There are a multitude of yoga styles, and within those styles every teacher is also completely different from each other. Keep trying until you find one you like. If anyone tells you that theirs is the only way, run. It took me 10 classes I didn’t like AT ALL to find the right teacher. Keep going. Some comfy clothing, a yoga studio or teacher or book or DVD, and the willingness to learn something new that might be one of your greatest tools throughout your life. More important is what you DO NOT need: flexibility. Seriously. You don’t have to start out with any at all. You don’t even have to end up with any at all.